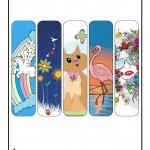 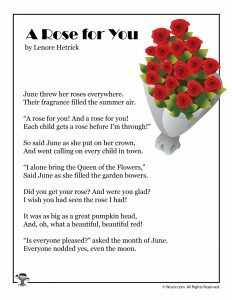 Here’s our latest addition to the kids poems for every month fo the year series! 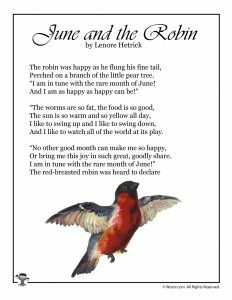 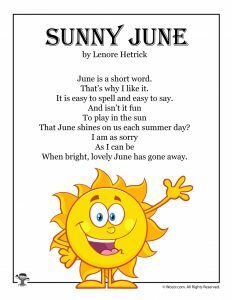 Now that summer is almost here, I’m happy to share our June poems for kids. 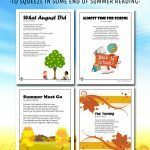 Your children and students can read these to celebrate summer break, sunny days, and the start of new gardens. 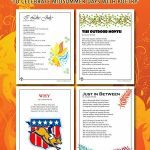 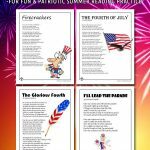 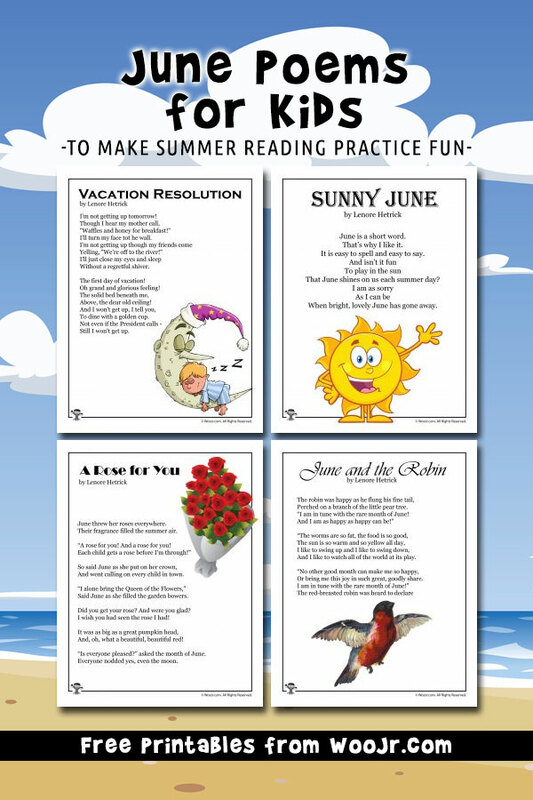 We all know how important it is to keep kids reading over the summer months, and these poems can give them a short but fun burst of quick reading practice. 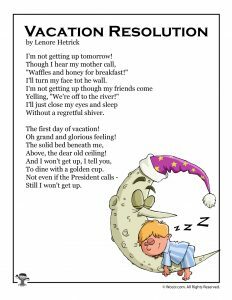 These poems are also great for before-bedtime reading in the summer. 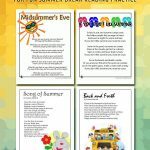 Check out our general summer kids poems, or our new summer preschool worksheets, too!